Pinterest has become my go-to place for everything nowadays. I especially love scrawling through and oohing and aahing over the renovations that people do on their RV’s. I’m in complete and utter awe because I don’t have a creative gene in my body. Ask Frank and he’ll tell you that he is much more creative than I am but together we won’t be called anytime soon for a HGTV show. I have a friend who has that gene and I love visiting her because her home is always so beautiful and inviting. I always tell her if we decided to settle down in a house again, she has to decorate it for me. 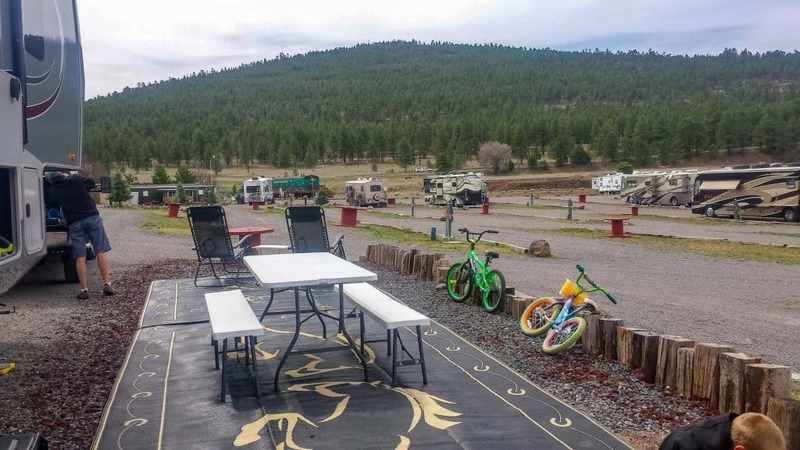 I am going to show you ways that you can easily spruce up your RV with these easy RV renovation ideas that will not only fit into your budget, you will also have fun with the whole experience. 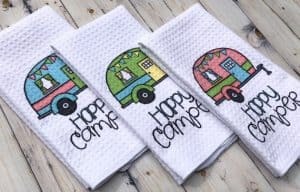 Thankfully in an RV, there is so little room you don’t need very much to make it warm and cozy, a few pillows here and there, some camping tea towels, some of those beautiful hanging signs and voila, someone like me can spruce up their RV decor. 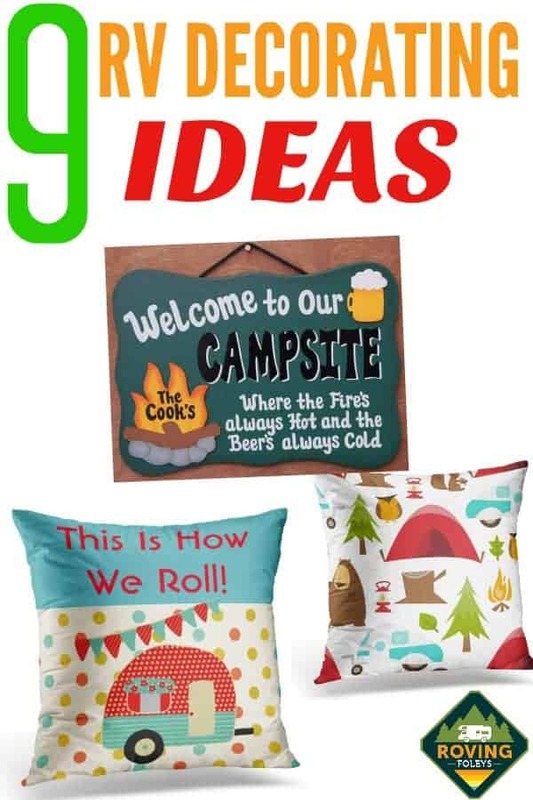 I am instantly drawn to camping pillows, I absolutely love seeing them on Pinterest, I could spend hours scrolling pins, especially those with quotations on them. They make the sofa look so inviting, you just want to go on in and lie down and make yourself at home. Pillows can really bring home whatever feeling that you are trying to create. We always like to explore the local home stores in any of the little towns we pass through, they always have some cute pillows to look over. 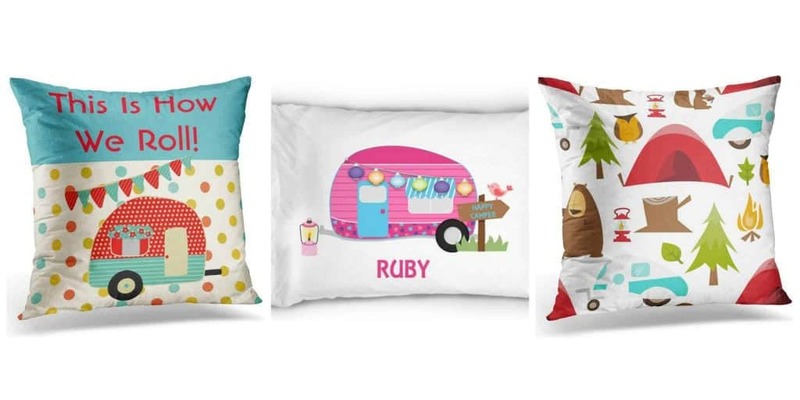 Take a look at these adorable camping pillows, my only issue would be picking just one or two! 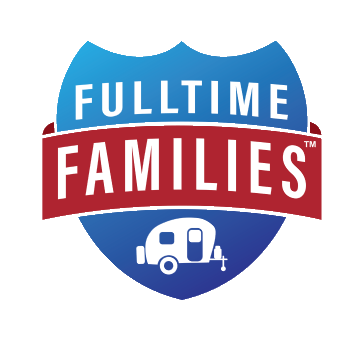 Wall hangings can also do a lot to add flavor to your RV interior. Whether you are into Country Craft or a more modern touch, you can find wall hangings to accentuate your design. They can also add a nice splash of color if things are a bit monotone. Throw blankets add warmth and coziness to any decor. Plus they are great to have handy when the cool winds start blowing. 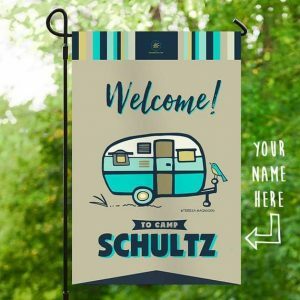 I love taking a walk around the campground and looking at all the RV custom personalized signs that people have outside, they are so cute and give you another opportunity to get the name of whoever lives in the camper. I have a horrible habit of forgetting people’s names 5 seconds after they’ve told me. So them having that sign is a really nice touch. 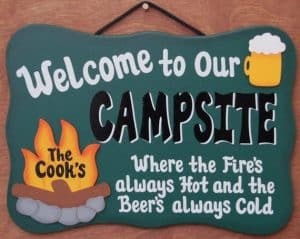 We actually do not have a sign for our outside yet. It always seemed like something that should be a gift, but I think we need to break down and buy our own. The one thing I don’t love about RV life is the fact that my 8-year-old daughter doesn’t have a room of her own to decorate. She loves nothing more than to decorate her room with anything she can – pipe cleaners, zoob pieces, artwork but her brother only lets her do so much because well he’s a boy and not so fond of ………pink. She can, however, decorate her bunk any way she wants. We found these beautiful Wall Letters on Etsy and she absolutely adores them and they transform her side of the room into a little girls room. So one side of the room we have a pink owl duvet set covered in stuffed animals and on the other side we have a camouflage bedset typical for a 9-year-old boy! RV bathrooms are small so they do not take too much to decorate. Some simple cute matching hand towels and face cloths are nice. A bath mat can be a good spot to have some fun or add whimsy. 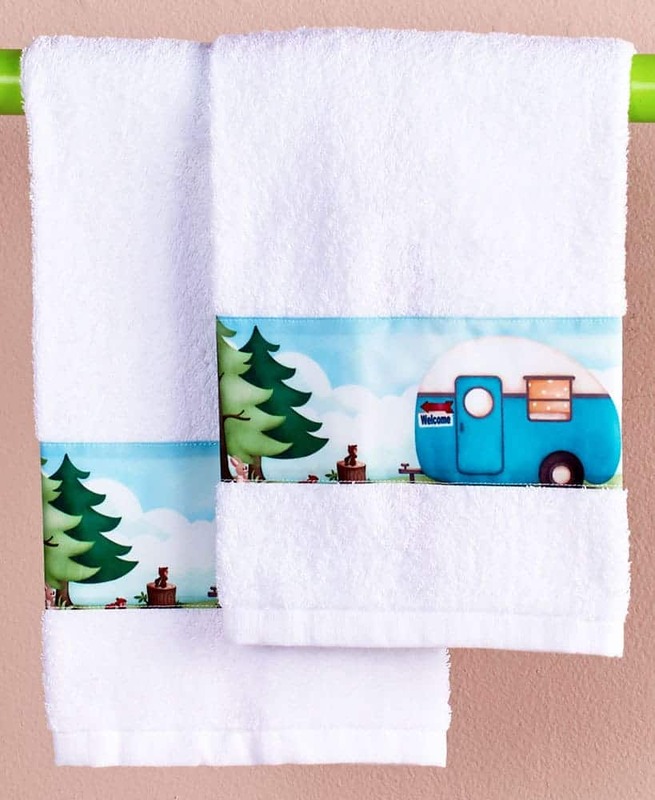 Of course, a camping set of tea towels will always add to your camping decor and help to spruce up the inside of your home-on-wheels. Outside lighting makes a huge difference in any camper setup. LED lights are great for adding color and visibility at night. They also don’t use very much electricity for the boondockers. I’m obsessed with these cute little outdoor lights, they are so adorable and fit onto your awning. They have a number of different designs, but these little campers are my favorite! We get compliments all the time on our outside rugs, they are not only pretty to look at, but they are also extremely useful in stopping all the outside dirt from coming in. They really help turn the outdoor space into more of an extended room. 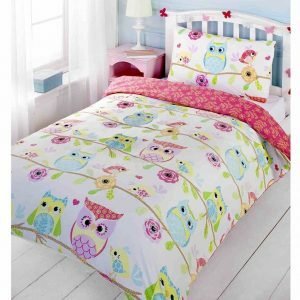 There are lots of designs to choose from so you can add a touch of personality as well. We’ve had ours three years now and they’re still going strong. Your outdoor furniture can make a huge difference as well when sprucing up. 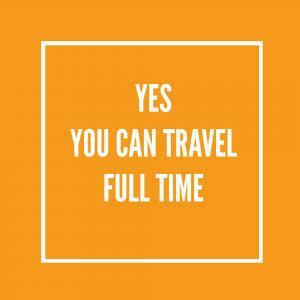 There is so much to choose from in lightweight folding chairs tables, etc. You can take your time and have fun with it. Make your furniture both functional AND beautiful. People will be walking by to look at YOUR setup. We saw people in an old school bus with hooks they had made hanging off the back of the bus with swing chairs attached. Yes Please! 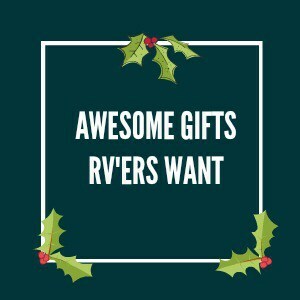 If you’re reading this and you have that creative bone in your body, feel free to share your tips and tricks for RV renovation ideas in the comments below.